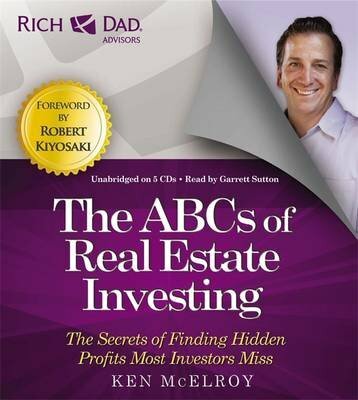 In precise and entertaining chapters - each culminating with very specific 'action steps' for readers to follow - author Ken McElroy offers real estate investing stories from the trenches and wisdom. Chapters include: * It Takes a Team - Understanding it takes a team to be successful in real estate, determine whether you want a partner and evaluate partner candidates based on the qualities required for a good partnership * Research Can Be Fun? - Become familiar with online resources such as newspapers, trade publications, government and trade organisation websites * Swamp Land For Sale - Stay away from gut feelings. Select one market, preferably one close to home, that you may be interested in. * You Own It...Now What? - set up your systems for maintenance, accounting and rent collection. Get involved in local supporting professional affiliations. Enforce the policies and procedures in the lease without exception and respond quickly to your residents with a smile!